CRY MONSTER CRY are two Irish brothers that make emotive, complex alternative-folk songs. Their recent single ‘Citadel’ is a testament to their art for exquisite song-craft. We are now pleased to announce the premiere for the band’s The Richey McCourt Remix, a 3-minute leftfield pop re-telling of the original track. Citadel – The Richey McCourt Remix was borne out of Sunday morning coffee and chats that the Sutton natives had with a producer friend, Richey McCourt (whose recent work with electro-pop artist LAOISE has garnered critical acclaim) Richie & Jamie’s enthusiasm for the current music landscape and the cross-fertilisation of genres – from folk to hip-hop, country to pop, inspired McCourt to spend the next 12 hours working on a remix of their recently released single Citadel. “We left Richey’s studio that morning and went about our day really- and then both of us had a track land in our WhatsApp group at about 9pm that night from Richey.’ explains Jamie. “He loved the song we had released, Citadel, and wanted to experiment with trying a different soundscape with it – something he thought we would probably hate and say thanks, but no thanks! But one listen and we were hooked. He managed to bring a new atmosphere into the track completely – but hasn’t compromised the original sentiment and composition to do so,” continues lead vocalist Richie. The Remix fuses warm synth sounds and beats with the trademark harmonies of Cry Monster Cry to create a track that stays true to the original – but as all remixes should do, finds the original’s best parts and shines a beaming light on them. “For us, this was just one of those lovely surprises that we didn’t plan for, but are excited to let people hear. We were raised on acoustic, folk, singer-songwriters– that’s our passion, and our inspiration when we write. That’s what’s in our souls. Our live shows and the new tracks we have recorded retain that heavily- that’s our compass. But experimenting on this remix with someone we trusted and coming from a very organic place, has been a great change and a great experience for us.” explains Richie. 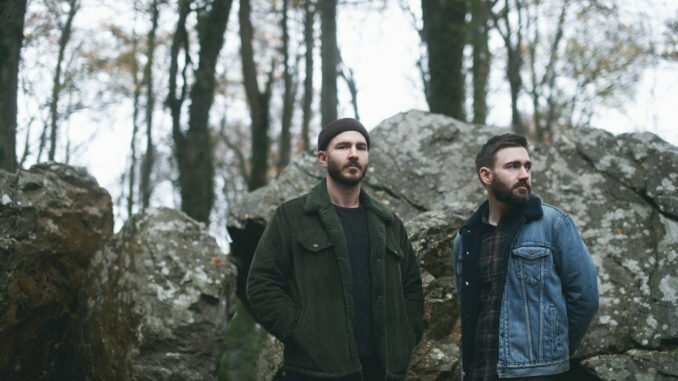 Both the original version and this new imagining of Citadel still hold the signature elements that Dublin brothers Richie and Jamie Martin have become known for; warm fraternal harmonies, thoughtful, unadorned instrumentation, evocative lyrics and beautiful melodies, but a visceral, more measured approach is also now apparent. The original version was recorded in the wilds of Donegal under the watchful eye of producer Tommy McLaughlin (Villagers, Bell X1, Luke Sital-Singh) the song presents a level of honesty and maturity that is new for the band. Cry Monster Cry has come a long way since releasing their debut EP The Fallen in 2012. The last two years have seen the band performing on television (The Imelda May Show, Other Voices) to millions of international viewers, as well as playing a string of sold-out shows across Ireland and Europe. Now the brothers are setting off on a new musical voyage, showcasing a conviction that has been sculpted through live performance and the bond felt between musician and audience, and a close-to-the-bone artistry that has been forged over time. Hopes, fears, successes, failures, love, anger, sadness, it’s all present. To celebrate the release, the band will kick off a series of intimate concerts at Imbolc Festival in Derry on February 3rd. Following this, they will make their INEC debut, on a double headliner bill with Jack O’ Rourke in Killarney on March 9th. The dates will see the band playing previously unheard material, and fan favourites from their debut long-player Rhythm of Dawn (2015).